Our selection of rubber wheels are available in a range of different sizes and colours, such as blue elastic rubber, all featured here on our website, for you to choose from. Each castor is able to withstand different capacities for different applications, however generally with rubber tyres the loading capacities are not very high. 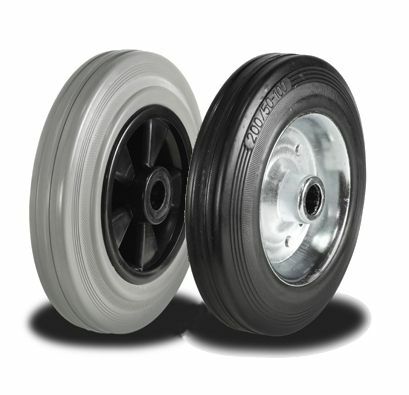 Our range supplies a variety of unique rubber wheels, to ensure everyone finds what they require. Fixed or swivel castors are also optional, with or without our secure brakes. The main specifications of our high quality rubber wheels, include different hole centres, a standard or synthetic rubber, non marking grey tyres, a steel disk or nylon centre, a variety of accompanied bearings, the majority fitted into a standard duty pressed steel castor housing, measuring different wheel diameters and sizes, each created with many other specification requirements acknowledged. Below are the best categories to search for your ideal rubber wheels, however we supply a range of different series, where many other designs are available, take at look at our GD, LMH, NGR, GDH and DR series. Rubber tyres are suitable for use on most floors, due to how they give a smoother ride and are quieter than other materials. Black rubber castor wheels can mark floors, therefore grey castor tyres maybe necessary, depending on the environment of the castor wheels. 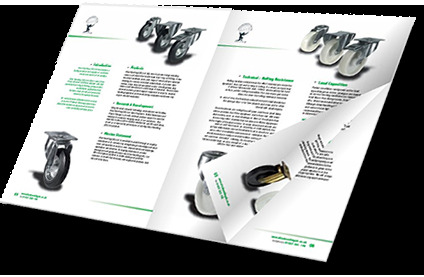 Make sure you check the limitations and benefits of each castor wheel, displayed in their product descriptions. Rubber wheels are the perfect choice if you require a smooth roll, and will cater to most industries. Although if they are not used regularly over a period of time, these castors can develop flats. Therefore nylon maybe a more efficient consideration. Please click on any of the products above to view their individual detailed descriptions and further information available. Once you find the product you have been looking for, simply add it to your cart, located on the right of this page, which you can view anytime throughout your browsing, then proceed to our checkout. Our delivery options can also be viewed via this link.